My Mamma and Oprah alike told me to listen to the “Whispers”….. In 2006 I heard the scream loud and clear. I was teaching a grade 4/5 split class in a public elementary school. I was 42 years old, taught for 20 years, and feeling I wasn’t doing my life’s purpose. Don’t get me wrong I LOVED TEACHING, however, being disheartened by school funding constraints, larger class sizes, and limited supplies and resources, my love for the “teaching” part was extremely compromised. It was during this time of my wavering conviction to the teaching profession, that I purchased a beautiful, white Standard Poodle puppy named “Gracie“. She was intelligent, charismatic, and loving, and she somehow knew at the end of the day, just how to de-stress me! She was a Poodle from an amazing line and she was to be shown in Conformation Shows in hopes to receive her Championship status with the Canadian Kennel Club. Although I didn’t handle her in the show ring, I did take care of her coat, with hours of bathing, brushing & combing, and thus the whispers began- GROOMING GRACIE RELEASED MY PASSION, AND EXCITEMENT! I became an artist and all I wanted to be was a groomer! My husband (Randy) and I have three beautiful, incredible sons, which at that time were young adolescents/teenagers, and were heavily involved in extra-curricular activities. We had a mortgage, bills to pay, and letting go of a job (which I worked hard to acquire in the first place), was a huge risk/responsibility. In 2006, I took a one- year-leave-of-absence, purchased a small grooming trailer, and promised my husband and family, I would make as much as I did teaching, and all would be well. I had no clientele, no formal training (I went to dog shows and literally sat in a corner watching the professionals groom), it was just me and my determination and motivation to make this work. “Once a Teacher, Always a Teacher”…. (remember these words as I share more of Gracie and my story). As expansion continued, I opened a Salon in Regina. Now, clients could pay for a premium service of the mobile coming right to their door, or they could bring their dogs to our salon at a reduced rate. Our “IN” Salon grew rapidly as well. Today we have a total of 20 employees who share the Salon and Mobile responsibilities. Just as we were about to reap some of the rewards financially (the infamous 5 year point), life threw a curve ball, and I was diagnosed with Breast Cancer. I was off work for a year with treatments, but thankfully the staff did an amazing job of keeping things running. During that time Gracie once again became one of my inspirations. During chemo she would literally lay on top of me. At times it was all I could do to breath or move, she covered my body with hers. It was uncanny. She was telling me all would be fine, life was great, and this was just a “hiccup”. She was absolutely right! Remember I said “Teaching” would be reentering my story…… During my isolation year of treatment, I kept myself busy by creating a proposal for the Saskatchewan Ministry of Education. It was a proposal to open a grooming school that could facilitate students across Canada who wanted to learn the art of pet grooming. I spent hundreds of hours on the proposal. It was a proposal that perhaps would never have been submitted if I hadn’t had this downtime.  In 2012, I became the official founder and instructor of Apex Academy of Professional Grooming & Animal Arts. Apex was a school that would work directly with Zoom Zoom Groom, and PreZoomably Cats, and allow students to have intensive hands-on training at a very busy salon. Gracie once again became an integral part of learning for our students. Whether she was used for demonstrations, or as a volunteer for a student groom, she contributed wholeheartedly! As I walk through our ZZG building, and I look at our mobiles, and I look at our school, I see Gracie everywhere. She is Zoom Zoom Groom, she is responsible for what I call our “Beautiful Monster”- she was the inspiration. I can never thank her enough for all she has provided for me and my family. She was a “God Given Gift” & blessing. On June 8, 2016, we sadly said good-bye to our very special family member. She is now in a place of peace and no pain, where she can continue to share her beautiful spirit. The story of “How a Single Poodle Named Gracie, Inspired a Successful Dog Grooming Business”, displays how one dog enriched the lives of our entire family. She touched our hearts in ways unimaginable, and she created a legacy in which we are all eternally thankful for! dreaming of being a pet groomer?